I don’t know about you, but it seems like just yesterday that my oldest son was waving goodbye to me as he excitedly began his first day of kindergarten. Fast forward with lighting speed and suddenly he was graduating from high school, applying for college and trying to figure out how to get scholarships. How did that happen? The wonderful news was that he was a smart student with a big heart. The shocking news was that he kept handing me shiny college brochures with six-figure total price tags. Hold on! Where did the time go? You know, all those years that my husband and I should have been putting aside our extra money into his college fund. Oh that’s right, we were swallowed up in the daily grind of raising three kids, paying our mortgage, running a business, battling our own student loan debt, and basically just living paycheck-to-paycheck as the majority of middle-class Americans do. There WAS no college fund. Our options were to let him borrow a staggering amount of money to attend his dream school, or I find a way to help him win free money in the form of college scholarships and grants. I picked plan B and am proud to share with you our happy outcome. As a result of intense research into how to apply for scholarships for college, what makes a scholarship winner and what kind of applicants the judges look for, my son won over $100,000 in scholarships and graduated from his first choice school with NO debt. YES! Students who are handed scholarship applications and told by parents to “make sure you apply” will most likely struggle, get frustrated, and give up. A much better strategy is for parents to work with their students, forming a partnership that eases the work load and frustration for the student. This strategy involves parents finding scholarships and students writing essays. Also, mom can proofread each application and essay, while dad sends email or text reminders to the student about upcoming deadlines. Remember, when students win scholarships, parents also win in the form of less tuition to pay. I’m sure you’ve heard them, “My student isn’t smart enough to win scholarships” or “We make too much money to apply for scholarships.” Did you know there are scholarships without GPA requirements or financial need? If I had listened to these assumptions and not make scholarship applying a priority, my son would not be where he is now, debt-free! One of the very first things I learned when I was researching what scholarship judges appreciate was how volunteering opens up many scholarship opportunities for students. Before you panic, know that my son did NOT have many volunteer hours going into his senior year of high school. What we did was to create a community service project that he founded, implemented, and ran during his last year of high school. If you are stumped with what kind of project you or your student can create, brainstorm with them and make lists of what they like, care about, and any change they would like to see in their community. My son’s came up with ideas like collecting sports medals from local coaches to be awarded to kids in rehab, getting donated gifts cards from local restaurants to give to a medical hospitality house, to helping an inner city robotics team find sponsors for funding. Be creative, there are lots of ways to combine a student’s interest with volunteer ideas. The essay is the heart of the scholarship application. Read that again, the essay is the heart of the scholarship application. For this reason, scholarships with essay requirements should get special attention. I go into great detail exactly how to write a stand-out and memorable essay in my college scholarship guides, because in my interviews with scholarship judges they always come back to the strength of the essays when choosing their winners. Students need to submit mistake-free work, as typos and grammatical errors do not impress scholarship judges. Having two pairs of eyes read through all applications and essays is just plain SMART, as self-proofreading is not very effective. In addition, using free proofreading sites such as Grammarly is also a great strategy. When my own son did not win the first few early deadline scholarships that he applied for, we could have easily thrown up our hands and given up (refer back to #2). There is usually a large gap of time between when students submit scholarships and when the winner is announced, so make giving up NOT an option. Students need to keep applying all through high school AND college. If they are not winning any scholarships, they need to change their strategy, look closely at the quality of essays they are submitting, and review these seven tips carefully. Is applying for college scholarships easy? No, but it will become EASIER when the correct winning strategies are followed and the team approach is used. Don’t let a college dream slip away because of a lack of funds. Get started finding scholarship applications for high school seniors. Do what it takes NOW and grab a share of the millions of scholarship dollars available to students each year from countless organizations. 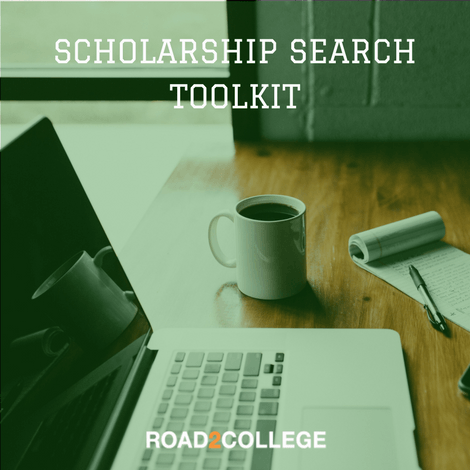 Get a copy of our Scholarship Search Toolkit, an expert review of 18 top scholarship search sites, along with links to state specific scholarship sites. Monica Matthews is the author of How to Win College Scholarships. She helped her own son win over $100,000 in scholarships and now shares her expertise with other parents and their students. She truly has “been there, done that” in regards to helping parents and students navigate the scholarship process. Ms. Matthews’ step-by-step scholarship guide has taught desperate parents to help their own students win thousands of scholarship dollars. Find more info at How2WinCollegeScholarships.